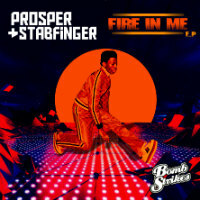 Currently turning out about one EP/ single thingy a year on Bombstrikes, Prosper & Stabfinger’s effort for 2018 – the Fire In Me EP – is out tomorrow. But where their Mista Funkmaster EP chopped up the samples and their Dopeness EP balanced the samples with original vox, the pair go all original for this one. Forgoing his more usual falsetto, funky man Georges Perin adds a touch of grit to the uptempo sax-y title track while Ashley Slater lends some freak power to the slower rolling crunch of Drive By Pony. It’s all systems go for the third cut though which takes the form of a jazzy breaks cover of Lee Dorsey’s Get Out Of My Life Woman simply entitled Get Out Of My Life but featuring Slater (again) along with The Pride and Tha Groovy Basterds. There’s fire in them there breaks! 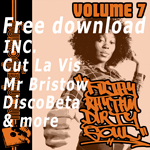 Breakbeat Paradise Morlack video ghetto funk Tramp Records psych Funk Chart Jazz reggae Bulabeats Smoove Rory Hoy Jalapeno Records Fort Knox Five Fort Knox Recordings The Allergies Badboe Record Kicks disco glitch-hop breaks Renegades Of Jazz latin Electro swing vinyl Soul BBP hip-hop Free download Ewan Hoozami nufunk trip hop Basement Freaks Remix review Mr Bristow Dirty Dubsters 7" vinyl 7"